A vulnerable, stirringly intimate work of art, Gabriella Rose’s debut EP ‘Lost in Translation’ captures her remarkably passionate and singular artistry. 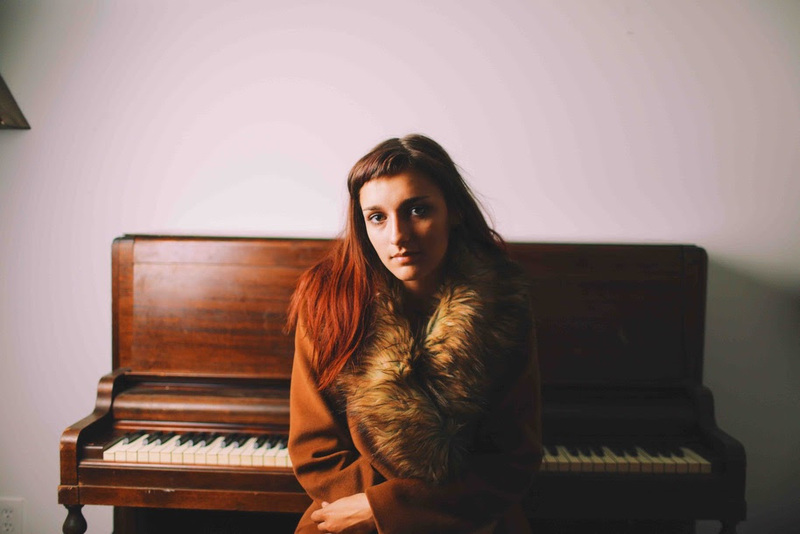 In introducing Gabriella Rose a mere three months ago, we hailed the sixteen-year-old as an exciting and promising new voice out of the Pacific Northwest, praising the emotional maturity of her music and the timelessness of her folky indie pop sound. 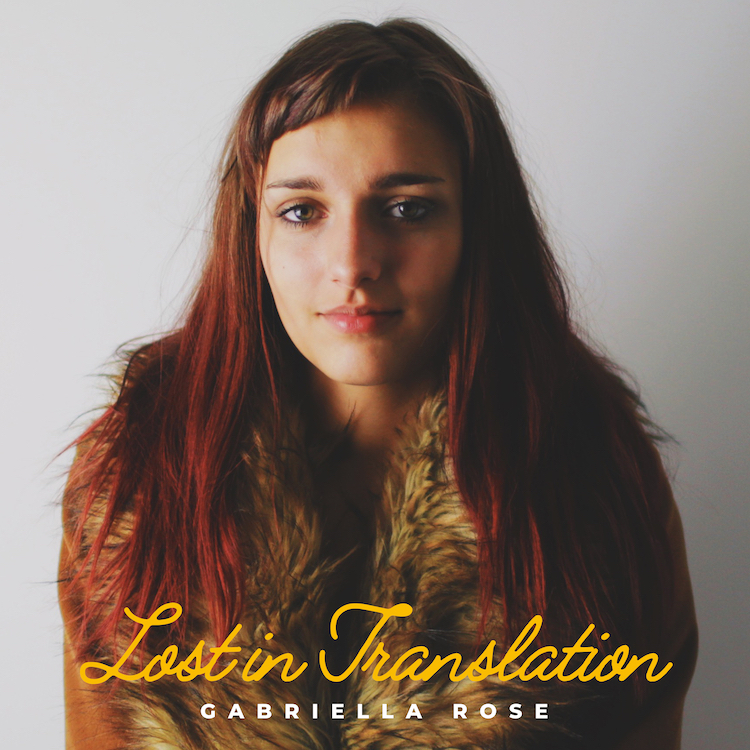 These are high commendations to bestow upon a brand new artist — let alone a teenager — but today, Gabriella Rose makes good on that promise through her debut EP Lost in Translation, out 2/1/2019! With every track comes a sliver of enlightenment – something to be felt, learned, or discovered. Not many artists can boast such a strong entrance, let alone one with such insight and palpable emotion. In “Requiem,” Rose explores the pain of loss and the loss of innocence. In “The Chair,” she tells the story of a mentally ill young man sentenced to death for murder. Lost in Translation is emotionally volatile, yet sonically sound – a dazzling journey full of love, glowing with fresh perspective and an inspiring zest for life. Behind all this magic, there exists the uniquely compelling talents of a singer/songwriter whose journey is only just beginning. Experience the full record below, and peek inside Gabriella Rose’s Lost in Translation EP with Atwood Magazine as she goes track-by-track through the music and lyrics of her pristine debut! This was the first song I recorded with my producer, Chris Molitor. If it wasn’t for his guidance, the EP wouldn’t have been possible. With this first song, he helped me find my sound. When I started I had no idea what I was doing, I was a fifteen year old girl with songs and a vague idea of what I wanted the record to sound like. Coppola’s film Lost in Translation is what inspired this song. I related to the protagonists who found in each other a common bond; they were both lonely, aimless, and unhappy. I have felt that way in the past, and so the film really spoke to me. I tried to put that emotion I saw on the screen into this track! This song is about my struggle with mental health. When I wrote it, I had completely lost myself in the search for acceptance; however, music has allowed me to channel my feelings into something positive and productive. People don’t always understand those suffering from mental illness, and many simply don’t know how to help. I guess I wrote this song for anyone who really needs it. Relationships are never easy. They may be hard to build, but they are so easy to break. This song is about the aching feeling of losing someone who is important to you, and the pain of rejection. I lost my grandmother to cancer in eighth grade. She was such an important part of my life, and it was heartbreaking to lose her. Her passing was slow and brutal, and at the end she was absolutely broken. Seeing that kind of pain changed me as a person, and this song explains that loss of innocence. I wrote it a few years after she passed; and found that even when people leave, grief lingers on. I had no idea how I was going to record this song. It tells the story of a mentally ill young man who was sentenced to death for murder. I wrote The Chair after reading Truman Capote’s In Cold Blood; the humanity Capote revealed in the killers shook me to my core. Also, his empathy was incredible: he saw the good in two men who had done evil things. To me, that’s incredibly powerful. This song is about the pain that results from living for other people’s praise and approval. There was a time in my life where I tried to “improve”; I tried to fix the things in myself that I didn’t like, but I did it for one person. I wrote this song after I realized I couldn’t make that person happy by chasing perfection- I was miserable. I now know that I want to be compassionate and empathetic, I don’t want to be perfect.